The December issue of NASA’s Callback newsletter tells the tale of several dual flights where simulated emergencies turn into real ones. If you’re a pilot and don’t subscribe to Callback, I highly recommend doing so. It’s a monthly publication of the Aviation Safety Reporting System and always an entertaining read. This month happens to cover general aviation incidents, but they also grab reports from airlines, corporate operators, medivac, fractionals, and everyone else in the aviation world. Anyway, as a CFI it’s a bit painful to read this month’s reports knowing that there was an instructor on board who could have intervened to prevent the accident. Part of me thinks “there but for the grace of God go I”, as virtually any instructional flight can end up going badly. 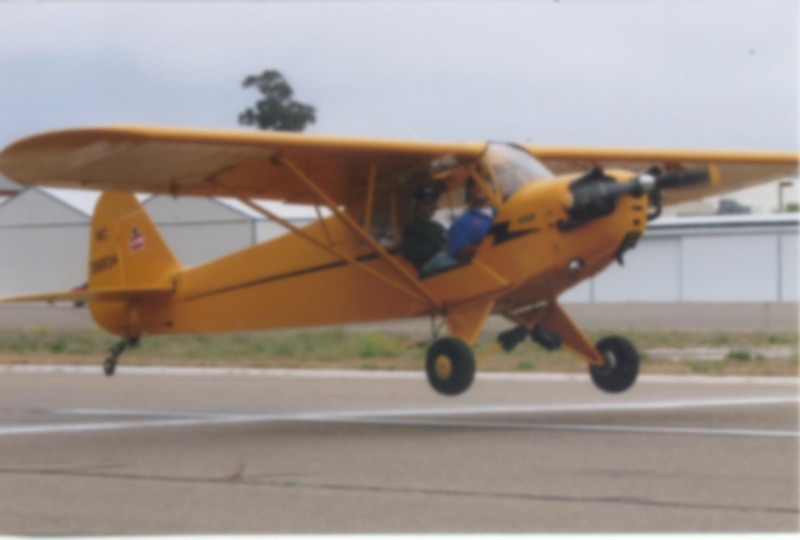 In fact, I say a little prayer every time I climb into a high-performance tailwheel aircraft like the Pitts. Think about it: I’m up there in the front cockpit, unable to see what the student in the back seat is doing. I can’t look at him, and without the intercom wouldn’t be able to communicate with the guy at all. There are a dozen ways that student could destroy the airplane and there would be nothing I could do about it. Literally nothing. If he jams on a single brake while landing, I can’t turn that brake off — it’s a guaranteed ground loop. He’s the only one with access to the fuel mixture control. If he grabs the canopy release by mistake during a maneuver, there goes a $10,000 piece of plexiglas. Even getting in or out of the airplane on the ground can easily cause thousands of dollars in damage. Having said that, some common practices among flight instructors have never made sense to me, and one of them is highlighted in this Callback. In this incident, the pilot of an R182 neglects to lower the landing gear on a simulated engine-out approach during a practical test. In this case the second set of eyes in the right seat wasn’t just an instructor, but an FAA representative known as a “Designated Pilot Examiner”. In other words, a very senior CFI. At roughly 1,900 feet over [the airport], a simulated engine failure was initiated by the Examiner. I immediately pulled the carburetor heat on, pitched for best glide and started a right turn to land on Runway 36. While circling to land, I went through the engine troubleshooting procedures and made a simulated emergency call over the CTAF (Common Traffic Advisory Frequency). At this point we were on final. The aircraft was high, so I put in full flaps and initiated a forward slip to dissipate altitude. The aircraft landed long with the gear up. As soon as I realized that the gear was not down, I secured the engine (mixture— idle cutoff, fuel selector— off, master— off, ignition switch— off). At no point during the maneuver did I hear any indication from the Examiner that the gear was not down or that I should initiate a go around. I believe that causal factors in this incident were nervousness and stress associated with the practical examination as well as a poorly executed power-off approach resulting in distraction on final. A number of actions on my part could have prevented this incident. The most obvious and sure method of prevention would have been to put the gear down immediately after the simulated engine failure. This would have solved the problem at its root. Additionally, during the course of the maneuver, a number of factors led to my inability to recognize that the gear was not down. I failed to complete a GUMP check (Gas on fullest tank, Undercarriage [gear] down, Mixture full rich, Prop full forward) on final. Additionally, better execution of the power-off approach would have allowed adequate time and altitude to utilize the checklist. During the approach, the landing gear warning horn would have been sounding continuously: beeeeep! beeeeep! beeeeep! 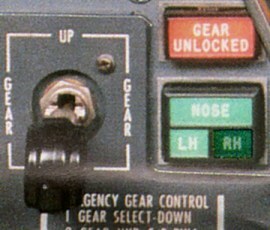 The purpose of that horn is to warn the pilot that the gear is not down and locked. So the question is, why did neither pilot hear the horn? The answer is that they did hear it. They simply taught themselves to ignore it! The pilot attributes the inability to respond to the gear warning horn to “nerves and stress”, but that’s not what caused this accident. It was his training. Don’t believe me? Here’s a YouTube video of the exact same thing happening to someone else. Did you hear the horn blaring continuously in the background? Do you think you would have failed to notice it? Lest you think that sort of thing could never happen to you, let’s look at what usually causes these accidents. Typically the student is working toward their commercial pilot certificate and are moving into a retractable gear aircraft for the first time. Several of the FAA-mandated maneuvers for that certificate involve attempts to maximize airplane performance without engine power. Specifically, it’s the steep spiral, 180° power off accuracy approach, and simulated engine failure. Do you see what’s happening? The instructor is allowing the pilot to desensitize himself to the gear warning horn. It’s no wonder people ignore the horn and make gear-up landings — it’s what they’ve been training themselves to do all along! To be honest, when you look at this training technique, it’s a wonder that gear-up landings aren’t more prevalent. There’s an easy way to avoid this trap: teach yourself that anytime you hear the gear warning horn, make it stop. It’s that simple. The horn is there to prompt you to do something — so do it! Either increase power or lower the landing gear. Just make the horn stop. That way, when you do inadvertently neglect to lower the gear one day, the horn will function as the safety device it was designed to be rather than an annoying beeping in the background on a YouTube video which has been viewed 29,426 times. I can’t have been the first person to come to this conclusion. In fact, aircraft like the King Air and Gulfstream IV have a landing gear warning horn silence button. I’ve never understood why light GA aircraft like the Centurion and Bonanza don’t; it would save many pilots from expensive and embarrassing incidents. It’s counter-intuitive to think that a warning horn silence button would actually prevent gear up landings, but it’s true. Instructors, if your aircraft doesn’t have any other method of silencing the horn, please teach your students to lower the landing gear during low-power maneuvers as soon as the gear warning horn sounds. The additional performance you get out of leaving it retracted is not worth the cost of a gear-up landing. If a pilot ever encounters an actual engine stoppage in flight and they want to leave the gear up, by all means go ahead and do it. Take the extra glide distance. Should he or she make an inadvertent gear up landing some day after a bona fide in-flight powerplant failure, nobody will care. Not them, and certainly not you. I never thought about it when I was learning to fly an RG, but in retrospect you’re absolutely right. Kinda scary now that I look back on it. I’ve got a lot of retract time now and have yet to land gear-up, but I’ve seen it happen and know quite a few pilots who have done it. I’ve seen it happen right in front of me as well, although that was a Bonanza pilot who landed and raised the gear inadvertently on the roll-out (he was, I’m sure, aiming for the flaps). Another good procedure: leave the configuration alone until you’re stopped and clear of the runway. I’ve done 709 ride prep for two different pilots who landed gear up while practicing solo for a commercial SEL checkride, and of course know of several others who have landed with the wheels retracted.